Since 2010 the Chaplain to the Speaker of the House of Commons has been the Revd. Rose Hudson-Wilkin. She says prayers in the House of Commons Chamber on every sitting day, after which formal business begins. She also presides at the weekly services of Holy Communion that are celebrated in Parliament’s chapel, the Chapel of St Mary Undercroft. Rose offers pastoral support and guidance to all who work in the Palace of Westminster and performs baptisms and marriages in the Undercroft Chapel for members, staff and officials of both Houses. The Chaplain is one of the officials of the House of Commons who takes part in the daily Speaker’s procession, before each sitting day begins. She also accompanies the Speaker on other formal occasions. 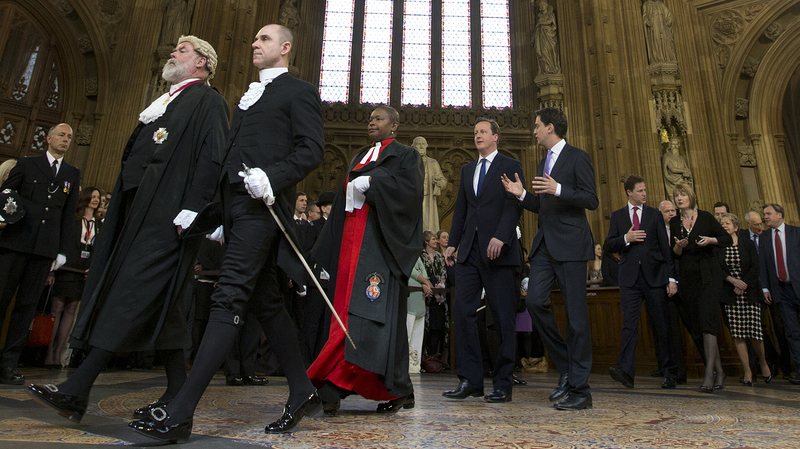 State opening of Parliament, May 8, 2013. 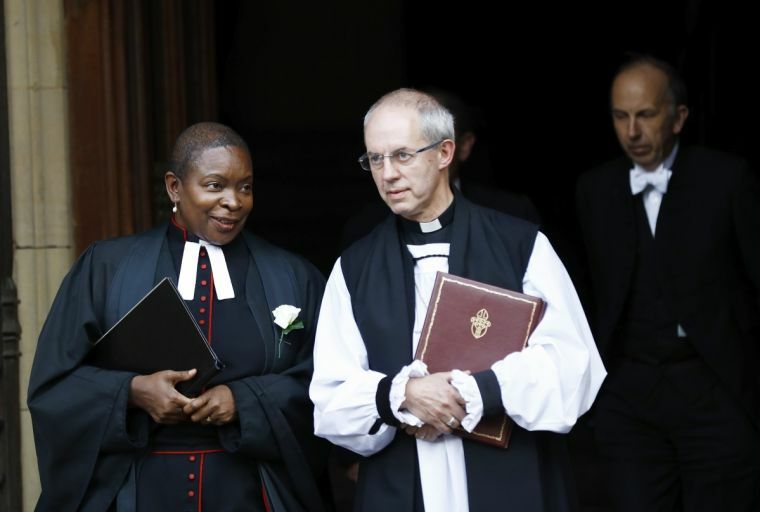 The Revd Rose Hudson-Wilkin was born and grew up in Montego Bay. She was ordained deacon in 1991 and ordained to the priesthood in 1994. 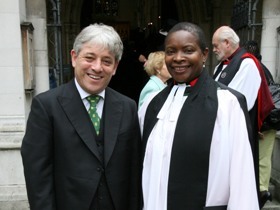 In 2007 she was appointed as a Chaplain to Her Majesty the Queen and in 2010, she became the first woman to be appointed to the position of Chaplain to the Speaker of the House of Commons. In November 2014, she became the Priest in Charge of the city Church, St Mary-at-Hill near Monument. She is also a Prebendary of St Paul’s Cathedral. Rose has previously served as a Member of the General Synod of the Church of England and also as one of the Panel of Chairs of the Synod. She has twice represented the Church of England at the World Council of Churches (in Zimbabwe & Brazil) and was one of its representatives on the Anglican Consultative Council. As a Selection Secretary for the Church of England, she has helped to select men and women seeking to test their vocation to the ministry. Rose undertakes numerous speaking engagements, nationally and overseas, and has appeared regularly on television and radio to discuss religious and current affairs. The post of Speaker’s Chaplain has long been regarded as part of the Speaker’s staff, though is also referred to as Chaplain to the House. In 1660 the first person to be recorded as appointed Speaker’s Chaplain was Edward Voyce, although the presence of a clergyman to conduct prayers in the House is recorded in the Cromwellian Parliament of 1659. The Chaplain is appointed by the Speaker and as well as providing a personal chaplaincy to him/her, the Chaplain also provides pastoral and spiritual support for Members and staff of both Houses. The post was without salary until 1835, when the occupant receive £200 per year. From 1972-2010, the Speaker’s Chaplain also acted as the Rector of St Margaret’s Church, which is situated in Parliament Square next to Westminster Abbey.